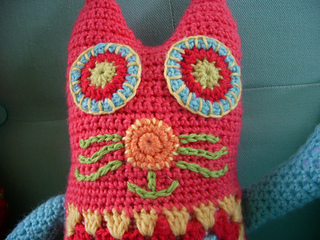 This is a pattern for a crocheted kitty cat with a granny square used for the stomach panel. You can use your favorite granny square pattern for this bit, it doesn’t really matter. I first posted this pattern on my blog a couple of years ago, but thought it might be nice to share it here too. 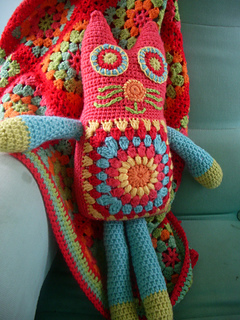 This is an easy softie to make, and I found it a lot of fun too!